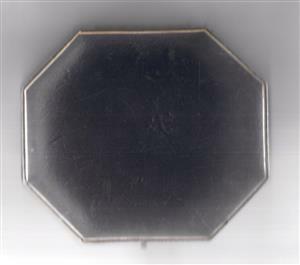 Octagonal, blue case to hold 12 Half Sovereigns or Sixpences. Gold line around the edge of the case. 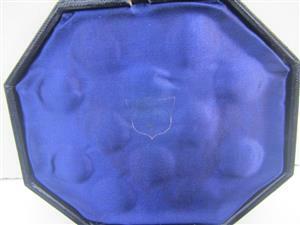 Blue velvet inner with ribbon tabs for easy lifting of each coin. Wear and tare commiserate to age of case - see photos.